emPOWER Lifting will take your training to a whole new level. Focusing on the three big lifts: squats, bench press and deadlifts, you will recruit every muscle in your body while gaining strength with each and every training session. emPOWER Lifting will not only be physically demanding, but it will be mentally challenging as well. It will push you to new heights and we will be there to motivate and support you throughout the entire process. 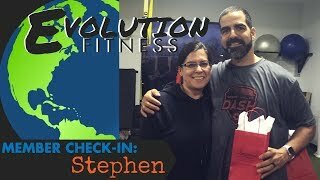 We recommend that you to come in and work through your emPOWER Lifting program and it’s supporting exercises 2-3 per week to perfect your technique. Then come in on Sunday between the designated time to record your lifts for the week. Strive to improve each and every week to reach new Personal Records! You will be amazed at how much progress you can make and how STRONG you will feel! The Program will culminate after 8 weeks with a Lift Off Competition for prizes! You do not need to be an Evolution Fitness member to become emPOWERED! Open to members and non-members, call us (856-751-1300) or fill out the form below for more information TODAY! Join the power lifting movement today!